Turkeys are perfect for Thanksgiving, but a baby colorful turkey is adorable for every Thanksgiving tradition. 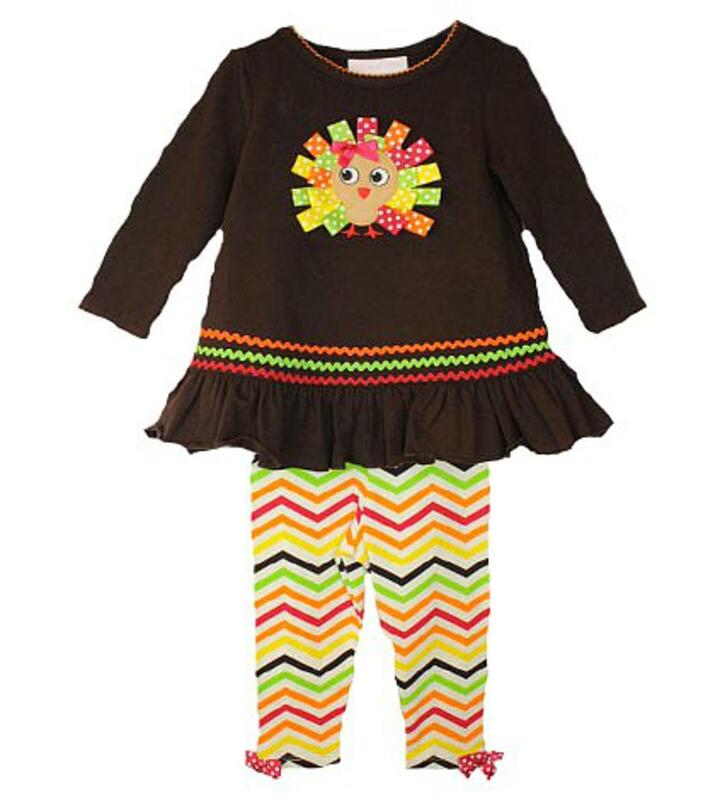 This brown longsleeve dress has a turkey applique with colorful ribbon feathers and a deep red bow. There is orange picot trim on the neck and sleeves and brown ruffles along the hem. Under the turkey is deep red, green and orange squiggle trim. There is matching chevron printed leggings that are cream with yellow, orange, brown, green,and deep red. The pants have a bow at each ankle and are very girly. This super soft outfit is 95% cotton and 5% spandex.